I get asked all the time, "Are you a GKIC copywriter?" You see, I've been writing direct-response copy, online and off, since 1994. In 1994, I may have sold the first ebook online. In reply, I would email you a long-form sales letter. To buy the ebook, you had to snail-mail me a check with your email address written on the memo line. After depositing the check, I sent you the ebook (really a giant text file) by email. That was e-commerce in 1994. I went on to work as Webmaster for FedEx.com (1995-1996) ... write more than $310,000 in Google Adwords (with an ROI of 1,300%) ... email promotions ... and direct-mail. All based on the direct-response marketing principles that Dan Kennedy teaches. And I've been a reader and follower of Dan Kennedy, along with Jay Abraham, John Caples, Claude Hopkins, David Ogilvy, Gary Halbert, and John Carlton, since 1998. Back to Dan Kennedy. I've been fortunate enough to meet with him and talk copywriting strategy (along with 2 of his Titanium Mastermind clients) on a couple occasions. In fact, I just met Dan again in Dallas, on March 28. 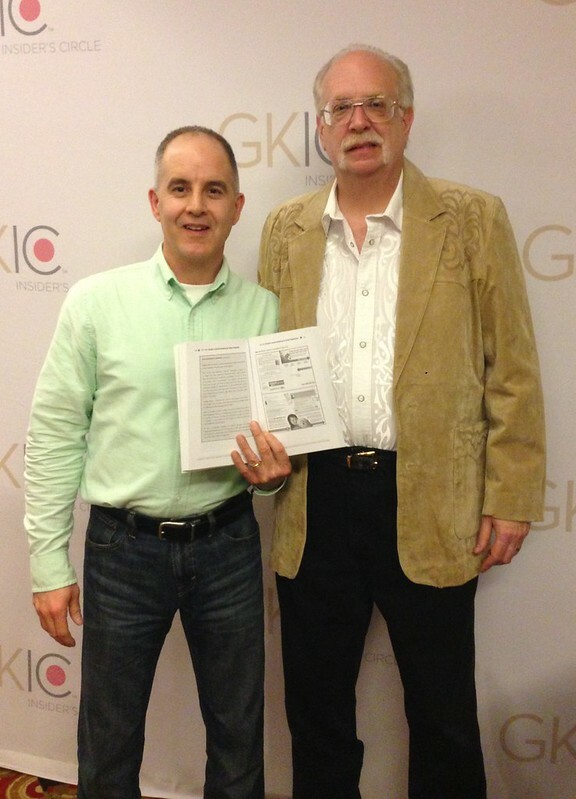 That's Dan and me (the short guy) at left, holding a copy of his new book, No BS Branding. You'll find 2 ads that I wrote, featured as winning examples on pages 119 and 120 of his book. For a copywriter like me, that's like Ted Williams praising your hitting, twice. An honor and a thrill. On top of that, my copywriting clients include 5 of Dan's Titanium Mastermind clients. If you know GKIC and Dan Kennedy, you know my clients. "The Client Reactivation Sequence of letters you created for us more than paid off. In just one example, an inactive client came back and purchased the following as a result of the letters you wrote: a $5,262 project, then a $1,517 project, followed by project worth at least $19,287 -- maybe more. That's only one client; there were others." I've got more on file -- just ask. Bottom line: Am I a GKIC-certified copywriter? No. But have I lived and breathed enough GKIC copywriting principles since 1998 (along with others dating back to the 1920s) to tackle nearly any direct mail or online marketing project? Most definitely, yes. That's why I'm the only copywriter I know who offers an unconditional money-back guarantee. 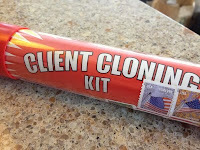 To learn more about what I do -- and get a sneak peek at The $32,400 Email and 5 other breakthrough tools -- request your FREE Client Cloning Kit. It's not some cheapo download. This is a real money-making package you can hold in your hands.